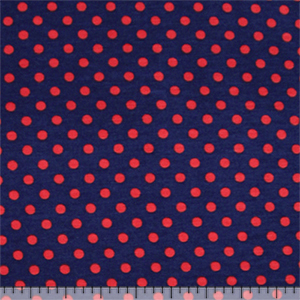 Season perfect repeating polka dot in red on a navy blue background color cotton jersey rayon spandex blend knit. 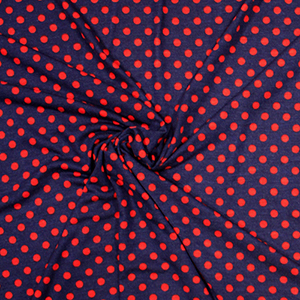 Fabric is lighter weight, with a soft hand, nice drape, and a 4 way stretch. 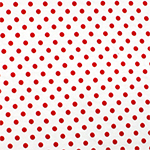 Dots measures 1/4" (see image for scale). 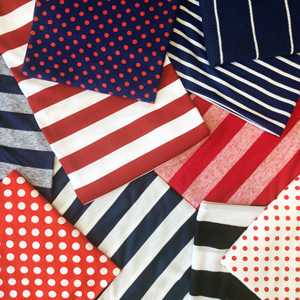 A versatile fabric great for many different uses!